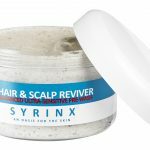 Scalp & Hair Mud Mask – Back In Stock! Pre Wash Hair & Scalp Reviver. This sells out fast but we hope to keep it in stock for you. With special promotion you receive FREE Shipping Globally and 25% OFF. Hair & scalp mud mask, suitable for sensitive skin. Excellent for normal skin as well as dry hair and scalp conditions. A mud mask for the scalp is excellent if you have dry itchy or flaky scalps. A really good mud mask for your hair as well as your scalp. 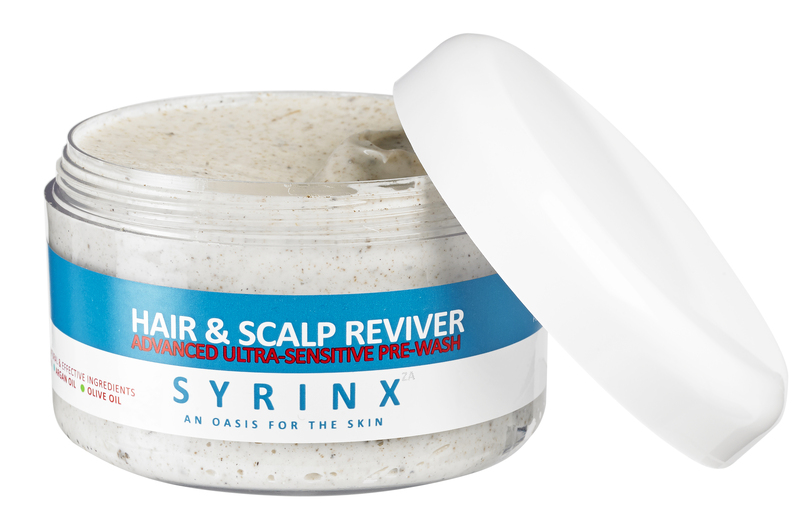 As with all our products the hair & scalp pre wash reviver is a great mud mask for the hair and scalp, suitable for sensitive skin and is a reed mud based product containing sapropel. 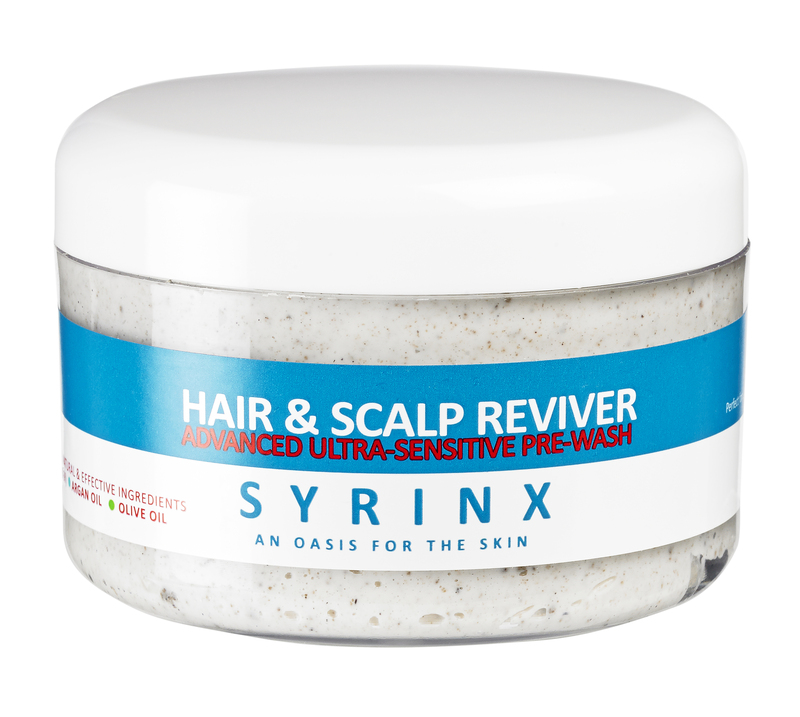 It was originally designed for people with scalp issues such as scalp dermatitis, dry scalp, dandruff, eczema/psoriasis, however we find that it is also excellent for all skin types that want to maintain a healthy scalp and hair condition. Its a Mud not a Clay! Mud is an organic plant derived material, whilst clay is a mineral which is very fine stone particles. Clay has large surface area so draws moisture off your skin whilst mud is plant based so gives up water and in doing so moisturises the skin. With Sapropel we have a product that both detoxifies, and adds goodness to the skin all in one go! * Reed Mud (Sapropel), mud from the bottom of the lake with a beautiful silky feel to it. A vitamin and mineral rich 15,000 year old glacial lake mud, able to detoxify the scalp, draw out impurities and boost the scalp’s own immune system. * Soybean Oil, nourishes and strengthens the hair whilst maintaining moisture. * Argan Oil, contains Omega-6 and Vitamin F. Hair will become shiny and nourished. * Olive Oil, adds a natural shine to the hair. * Wheat amino acids is an ingredient in the product which when you put on the scalp to condition the scalp helps reduce any flakiness. It helps condition both your scalp and hair. 3. Work the excess through mid-lengths and ends with your fingers or a wide tooth comb, applying more pre-wash cream if necessary. This next step we recommend you then cover tightly with a shower cap or plastic bag, cover with towel as body heat aids penetration of the cream. 4. Leave on the hair and scalp for between 20 minutes and several hours. 6. 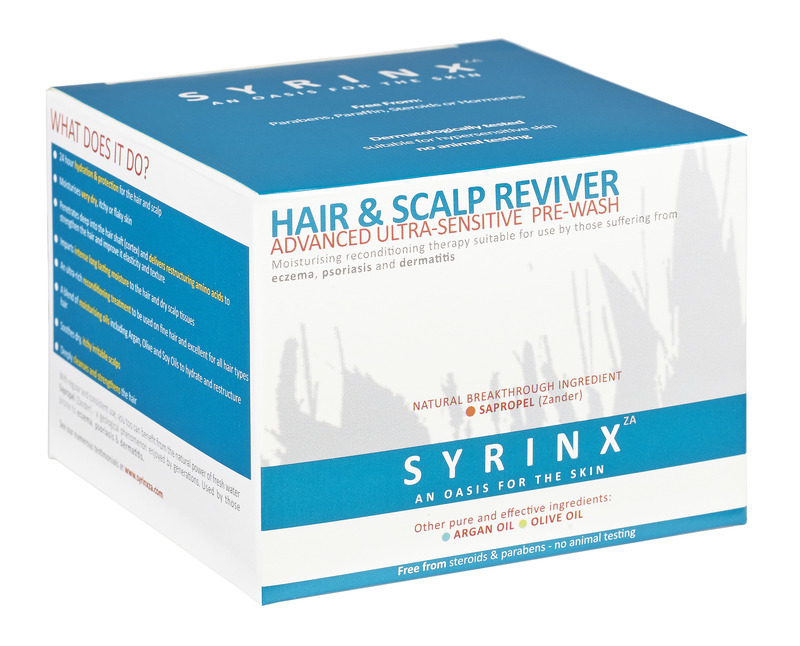 Shampoo as normal with Syrinxza Shampoo. Rinse thoroughly. 7. 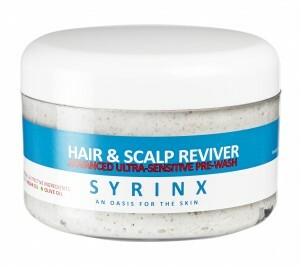 Condition as normal with Syrinxza Hair and Scalp Enricher. Rinse thoroughly. 10. Use pre-wash once a week if your hair is dry or every 2 to 4 weeks to enhance the condition of any hair type. 11. Use shampoo and conditioner daily or as often as required. 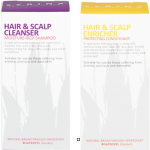 =>> 3 Scalp and Hair Treatment Products, 1 Easy Routine! Promotions and prices are correct at date of blog post.